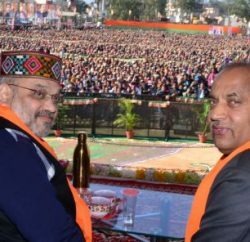 Kullu: Himachal Lokhit Party (HLP) has rejected the plea of BJP senior leader Shanta Kumar to merge with BJP and announced to contest the upcoming Lok Sabha polls on its own. 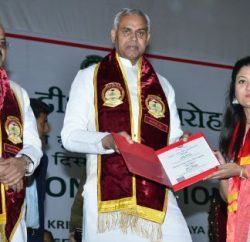 While speaking at the state level convention and party’s foundation day, HLP convener and Kullu legislature Maheshwar Singh made clear that he had no intentions to return to BJP as the issues of corruption raised by HLP at the time of parting ways with BJP had not been addressed and there was no change in the situation. In the convention party stated that merger with AAP or rejoining the BJP were closed options and now party concentrating to strengthen its base in the view of coming General Election. Maheshwar Singh targeted the Congress led state government and accused Virbhadra Singh for failing to address important issues like monkey menace, stray cattle, and increase in power bills etc. Singh revealed that the HLP would resort to agitation if nothing was done to resolve these issues.